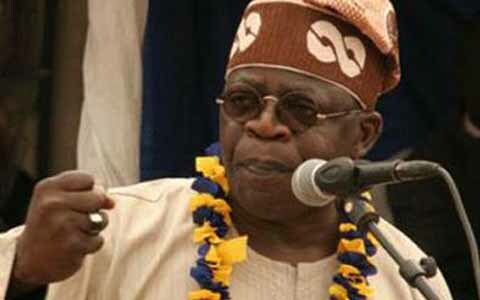 Former Lagos State Governor Bola Tinubu has called for the scrapping of the Senate. Tinubu spoke in Abuja on Tuesday at the 2012 Annual Conference and Awards ceremony organised by the Leadership Newspapers. He said Nigerians should stop complaining about the cost of governance but step towards reducing it. The former member of the National Assembly argued that it would be better to allow the House of Representatives represent the people since its members are closer to the grass roots. Tinubu said, “We have kept complaining about the cost of governance and the recurrent expenditure. “But we have never examined the structural problem of even the constitution that we are operating. “Why do we need two Houses of the National Assembly, whereas the House of Representatives representing the smaller constituencies is enough in the same number of population. He also backed the move by the Chairman of the Independent National Electoral Commission, Prof. Attahiru Jega, to take total control of the commission by asking that he be allowed to pick the Resident Electoral Commissioners. The Action Congress of Nigeria National Leader said since Nigerians had given Jega permission to act on their behalf, he should be allowed to pick his lieutenants. He said, “Once you say somebody is Chairman/Chief Executive of a corporation, you have given him all the powers and authority to act on behalf of the people. “We gave INEC the power and authority to act on our behalf, to be an institution that will be transparent and independent and the commission is being funded directly from source, from allocation, from tax and expenditure from our commonwealth and the wealth of the Federal Republic of Nigeria. “Why would we not allow the buck to stop on the table of INEC Chairman so that if he messes up, we have somebody to blame. He said it was wrong for the RECs to be appointed by the President, who he said, belongs to a political party. The ACN chief said it was bad for President Goodluck Jonathan, who is a member of the Peoples Democratic Party, a party he said had vowed that it would rule for 60 years or more, to be the one appointing the RECs. He gave instances when some of those nominated as RECs were later withdrawn when there was public outcry against them since they were card-carrying members of the PDP. Tinubu said, “If they are the one appointing RECs and card-carrying member of the PDP, how would we have are liable electoral system? “Whether you have executive opposition or not, power is not served ala carte. It is not like a menu in Sheraton Hotel.